The unique concept of MasterExplorer is to deliver data model for structures, a whole plant or single system. MasterConcept structure model offers full support for international standard ISO/IEC 81346, Principles for structure handling. Due to the possibility of structuring documentation and plant objects in a safe and structured way, plant data increases its reliability. Individual structures can be hidden in the navigation pane if not used or implemented. Structure your plant or product with 10 parallel structures (where 7 of them are are IEC/ISO structures). Users can register project and perform search function with MasterExplorer. Not only importing or exporting project including all data from reports, drawings and plant object but also registering new types of reports, edit project, create new database standards or preparing translations before printing out reports. 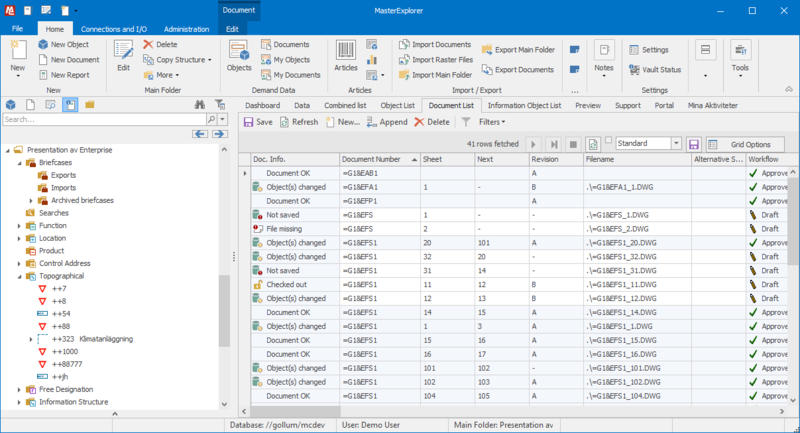 MasterExplorer handles automatically document revision and cross references in reports. Users can even see changes among different report revisions in updated lists. 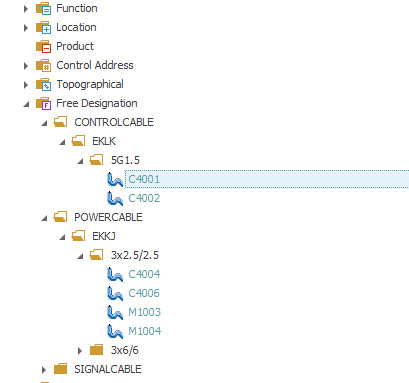 With license management users can select various functions in MasterExplorer. 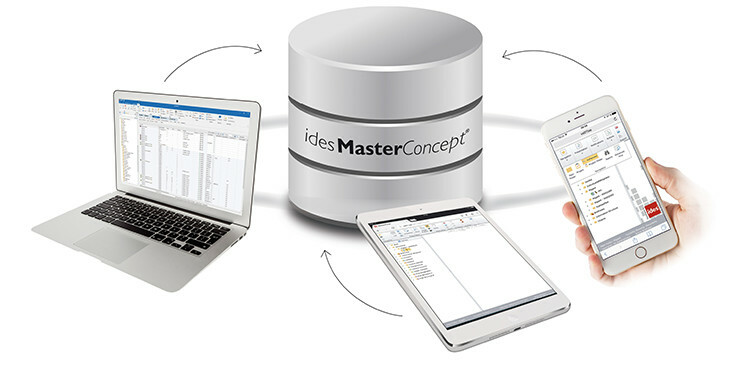 To be able to maximalt utilize MasterConcept, there is a project data environment with support for different project phases which can also be configured to support your organization. Pre-configured project phases are project planning, system design and detail design. There are different working dialogues with measurement specification, operating specification and equipment control specification for system designer to easily create and edit data. Project management and system design are used for license control. Documents and data are safely stored in a archive.